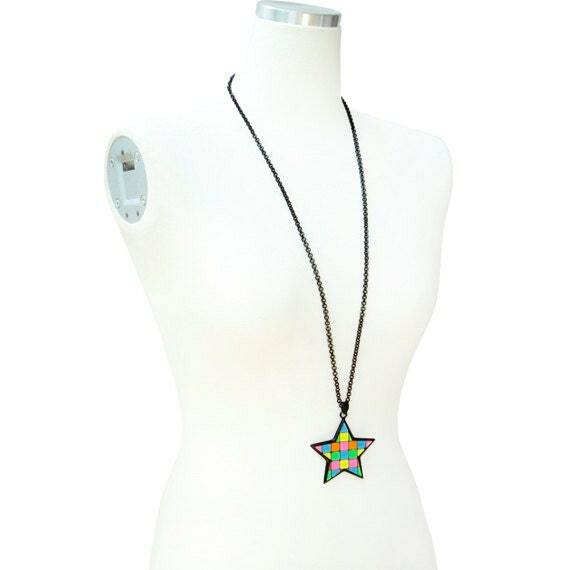 Great way to bring bright colors to your outfit!!! 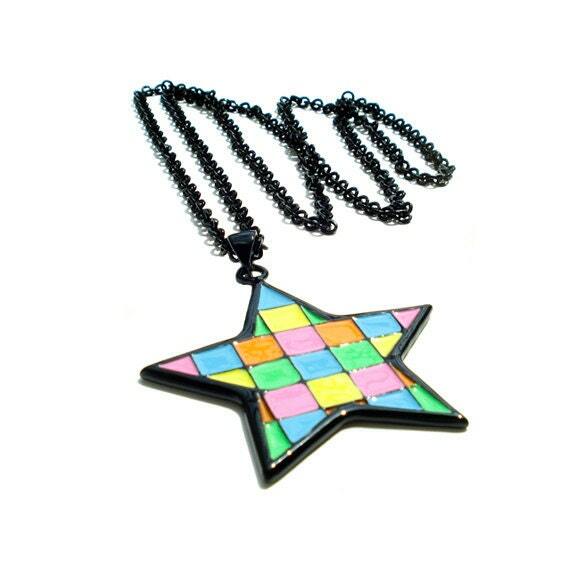 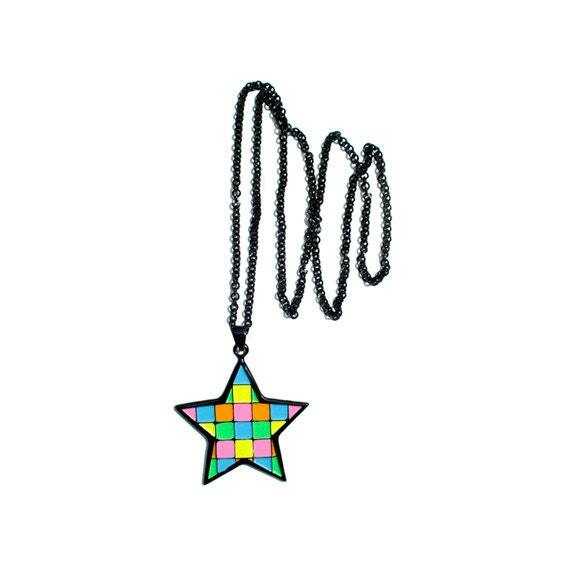 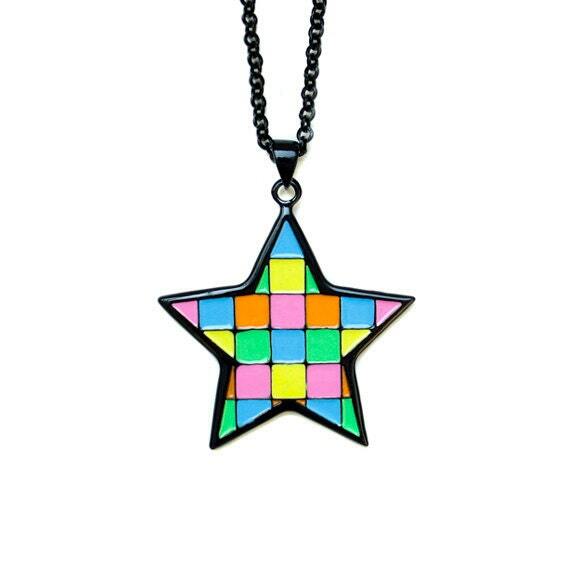 Multi Color Enamel Mosaic Star pendant necklace is great addition to your jewelry box. 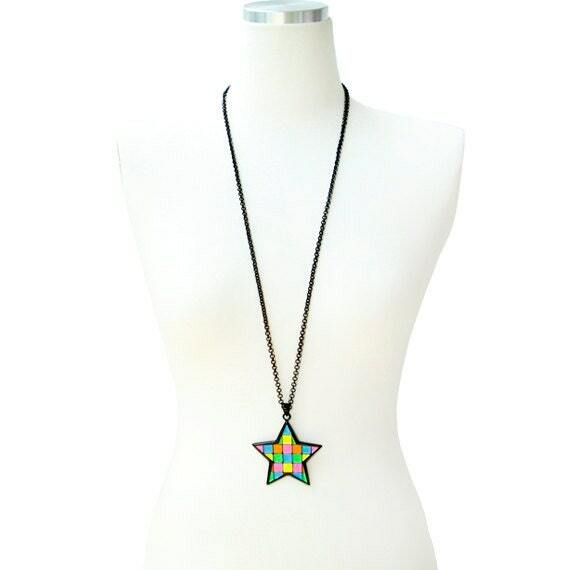 No clasp as this necklace is long enough for you to easily slip it over your head.